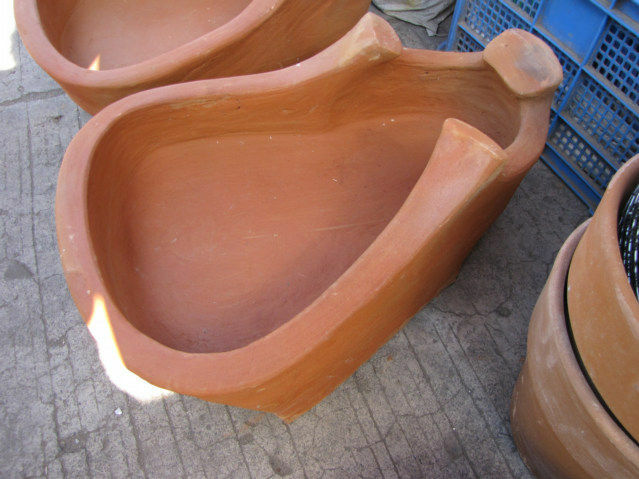 I am not sure, it could be charcoal or they could be using wood, however, here are here are few more styles of cooking apparatus used on planet earth. I have taken dozens of photos in many countries of these types of cookers. It is fun, interesting and a great view of the inside of a Philippines home without entering a house. I took these Photos of cookers on either the Sunday or Thursday Market day in Bauang, Philippines in La Union, Province. When looking at these types of devices, you need to think about how they deal with the ashes left over, these devices are often designe for ashe management. I think most of the Philippines use LPG or Liquid Propane Gas, or the less pollution causing fuel. 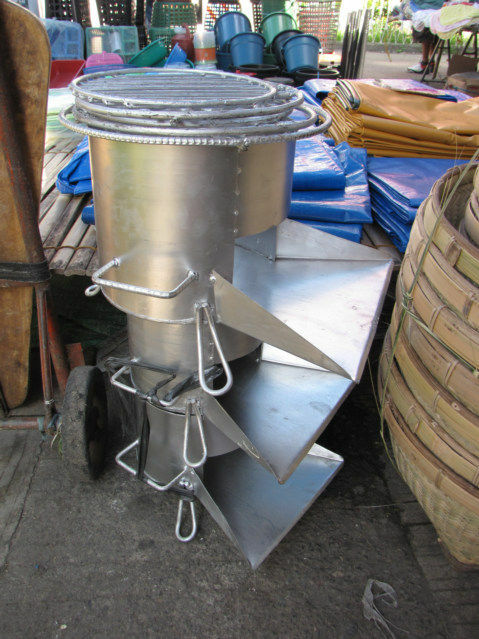 However, there is still a market for wood and charcoal cookers, so somebody is using these stoves. 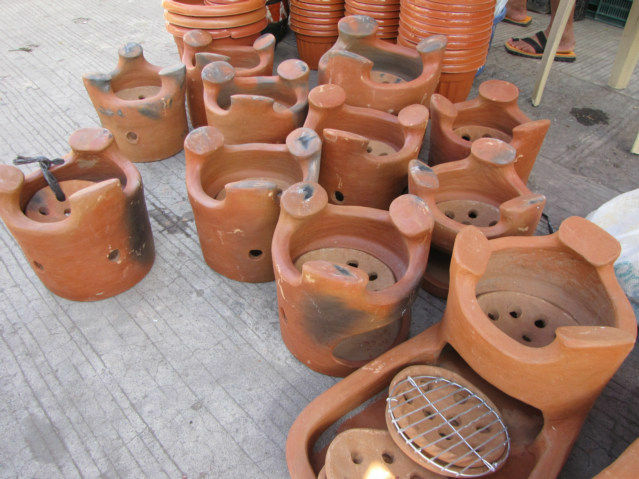 When I was in Vigan,Philipines the Spanish Colonial city, they used these type of cookers right in front of McDonalds in the center of the city. Truly a great product to take home for a cookout, except they weigh too much for shipping.